Travel the world with SOJC. Some of the best learning happens out there—beyond the walls of the classroom, beyond the borders of your community, beyond the bounds of your comfort zone. 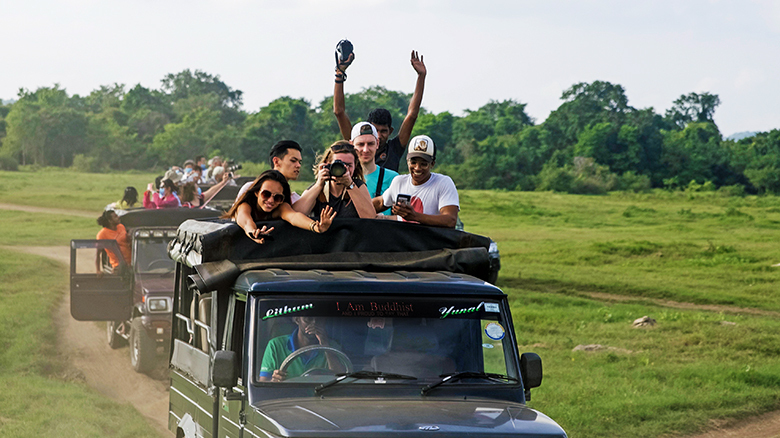 Gain valuable skills, advice, and career-defining contacts around the world through the SOJC’s hands-on learning and networking trips. Guided by expert faculty, our students leave as advertising, journalism, media studies, and public relations majors and return as global communicators with powerful stories to tell. What new perspectives could you discover? 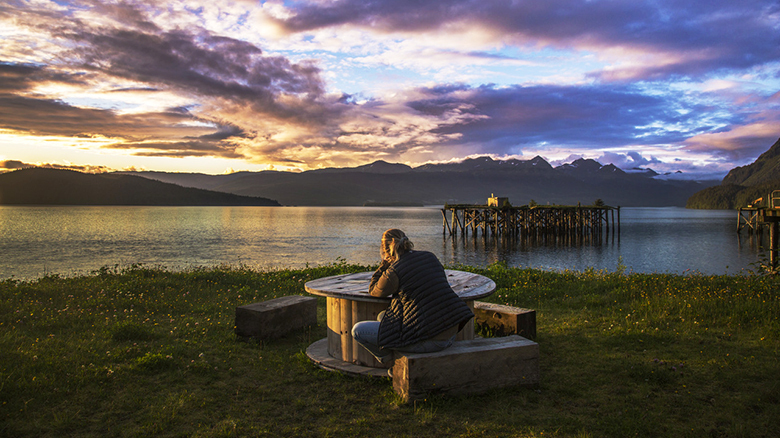 Tell the stories of a changing climate and its impact on our communities. Each year, the SOJC sends a group of students and faculty into the field to report on the effects of climate change. From composting organic waste in Ghana to rising sea levels on the Oregon Coast to disappearing salmon in Alaska, our students learn how to communicate—and find solutions for—the complex environmental issues facing our society today. 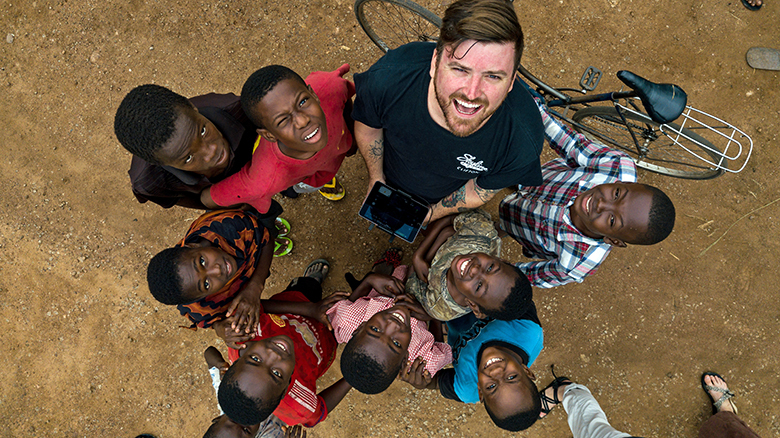 Explore the challenges of a developing country with a six-week internship in Accra, Ghana. Our summer study-abroad program gives students a hands-on, immersive experience working for local media as they learn about the nation’s history, culture, and struggles. Past participants have helped write radio scripts, launched socially conscious ad campaigns, attended controversial Supreme Court hearings, and joined forums on human trafficking. 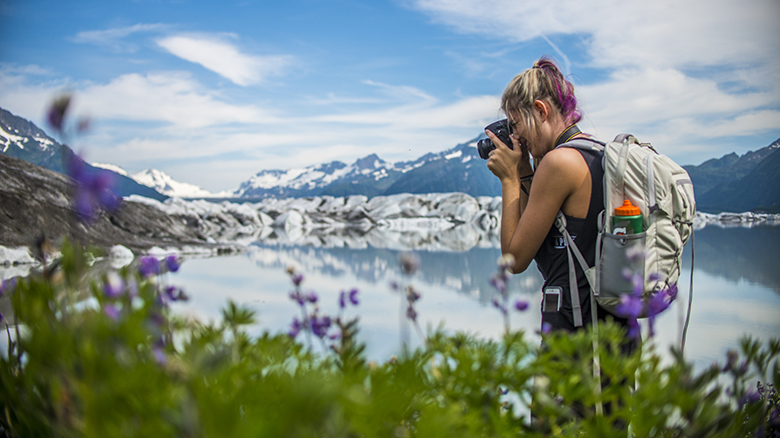 Tell the world’s stories through your own unique lens while developing your multimedia journalism skills abroad. Students in our Global Stories program have witnessed history in the making as they documented disaster recovery efforts in Sri Lanka, experienced a communist country firsthand in Cuba, and reported on earthquake relief efforts in Nepal. Get an insider’s view into a working public relations agency in the heart of a vibrant city. Public relations majors at the SOJC visit agencies and network with professionals in Chicago and San Francisco while getting a behind-the-scenes look at how public relations agencies and in-house teams operate. Some of our students even land internships at the agencies they visit. Immerse yourself in the high-powered world of New York advertising. 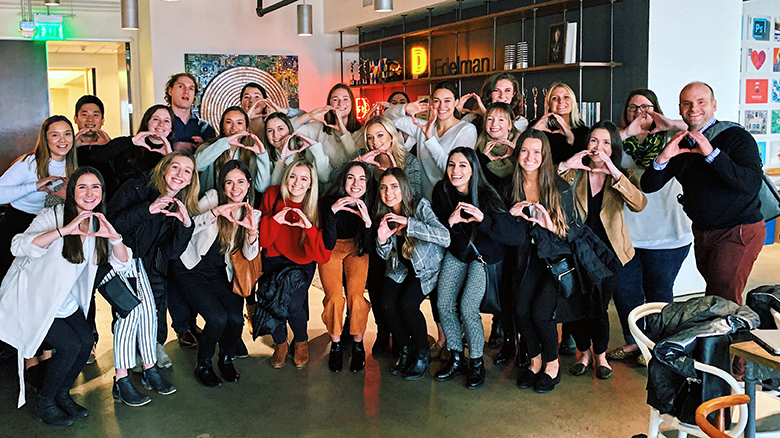 Each spring, more than 100 SOJC advertising majors head to the Big Apple to meet with some of the world’s top ad agencies and participate in Creative Week events. 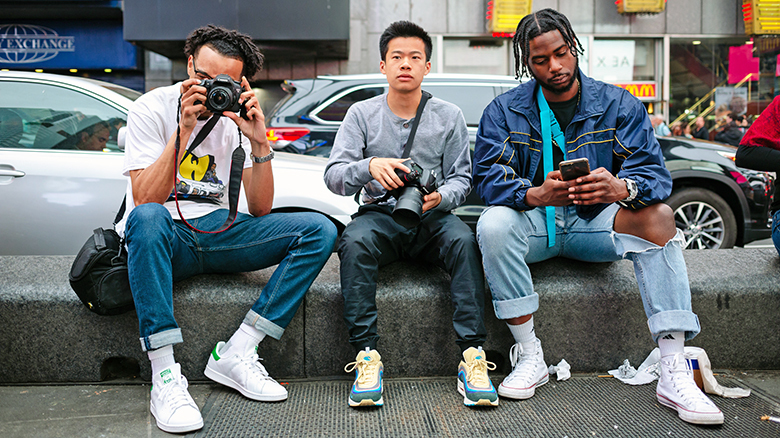 The NYC Experience can be a game-changer for students as they network with industry professionals, find mentors, and lay the groundwork for a successful career. Many of our NYC Experience participants land jobs and internships with the agencies they visit. Walk the halls of some of journalism’s most hallowed media institutions. 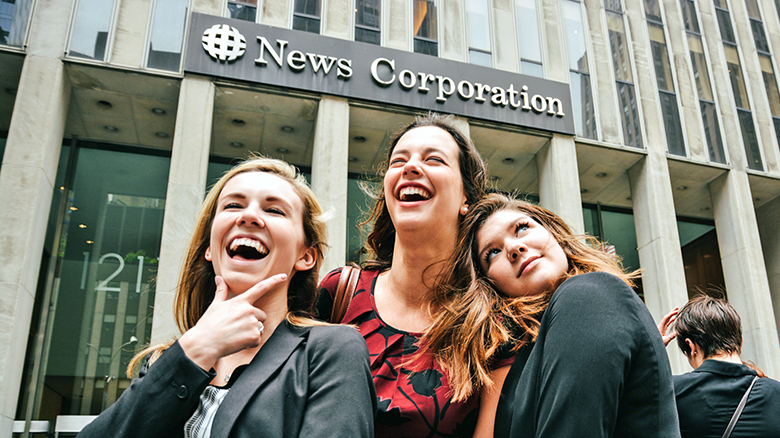 Journalism undergrads who join our New York City trip get an on-the-ground, behind-the-scenes look at media outlets in the Big Apple as they learn from and network with professionals at historic newspapers like The New York Times and The Wall Street Journal as well as digital powerhouses like Storyful and BuzzFeed News. Broaden your horizons with an immersive global experience. The UO partners with universities around the world to offer more than 300 study-abroad programs in 90 countries. From practicing journalism in London to learning about sports marketing in Dublin, there’s a study-abroad opportunity for everyone.